Tap Dance History featured in DanceTrain Magazine! 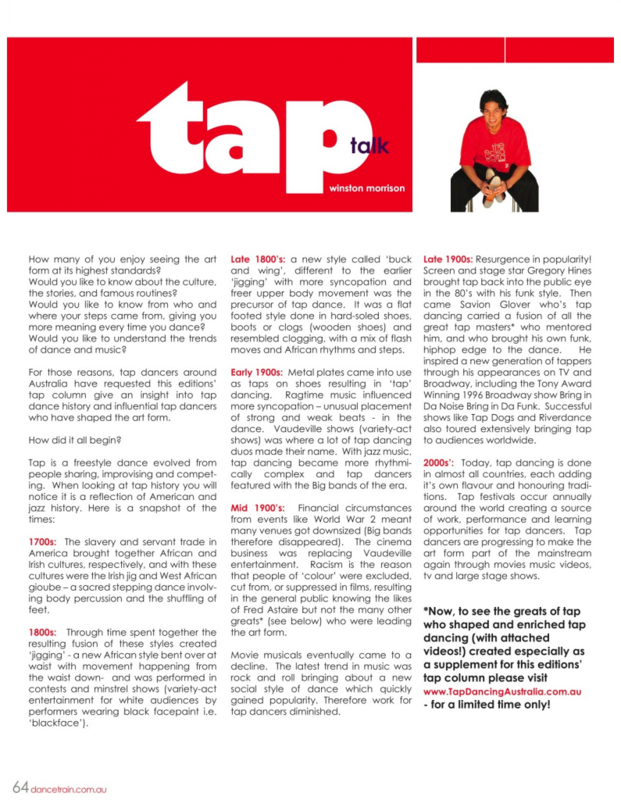 To read a summary on tap dance history, checkout page 64 in the current issue of DanceTrain magazine (available in Dance Shops) written by Australian Tap Dance Festival and MelbourneTapDance Director Winston Morrison. Also check out www.TapDancingAustralia.com.au to see the videos we have put together for you!